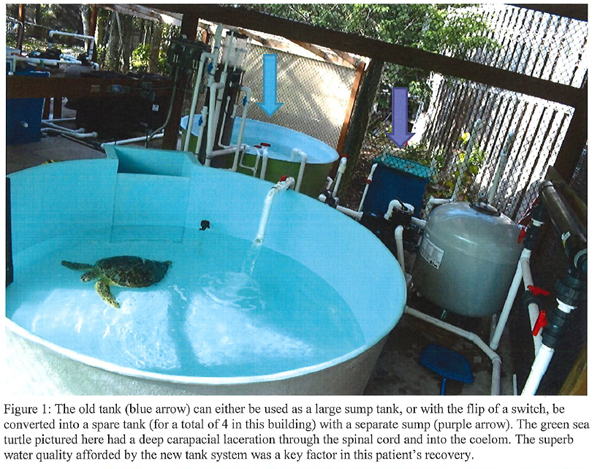 Summary: The Clinic for the Rehabilitation of Wildlife, Inc. (CROW) will purchase a new sea turtle housing system for patients undergoing hospitalization and rehabilitation. This includes a newly designed fiberglass tank and improved filtration system (sand filter, protein fractionator, sump tank, ultraviolet light, pumps, pipes and fittings). The only licensed sea turtle treatment facility on the Gulf coast between Sarasota and the Florida Keys, CROW’s work with ill and injured sea turtles is vital to the life of Southwest Florida’s coastal waters and to the One World, One Health mission.